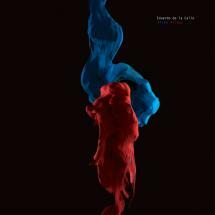 Spanish DJ & producer, Eduardo De La Calle, has continued to explore the outer limits of the electronic palette since his Cadenza Records debut back in 2013, clocking up stellar releases for the likes of Mule Musiq, Hivern Discs, Be As One and Nonplus over the last couple of years. Eduardo returns to Cadenza in February with the ‘Anima Animus’ single, coupling two tracks of refined techno for your listening pleasure. Taking inspiration from the psychologist/philosopher Carl Jung’s concept of anima and animus (and do take the time to explore this), Eduardo marries arpeggiated synths and melodic chords with a soft kick and tantalizing hats, producing a slick piece of reflective techno that’s alive with melody and groove. On ‘North Pole’, we get more of the signature ‘De La Calle’ sound; subaquatic bass and searing, melancholic strings play out over a steady mechanical beat, nodding its head not only to the Detroit masters but also to the European New Wave sounds that influenced the Motor City artists in the first instance. Another assured single release from Eduardo that will further solidify his place in the current electronic music landscape.